Dutch artist Ron Peperkamp is the managing director, co-inventor and advocate of Kunst Reserve Bank, a sophisticated experiment to test whether the potency of art as a signifier of human creativity could act as a reliable reserve currency. In other words the goal was to substitute an ‘Art Standard” for the old ‘gold standard’. As an experiment in both art and economics the project has provoked both scepticism and debate equal measure. But has succeeded in attracting some influential establishment backers including Rick van der Ploeg former State Secretary for culture and media and currently professor of Economics at Oxford University. 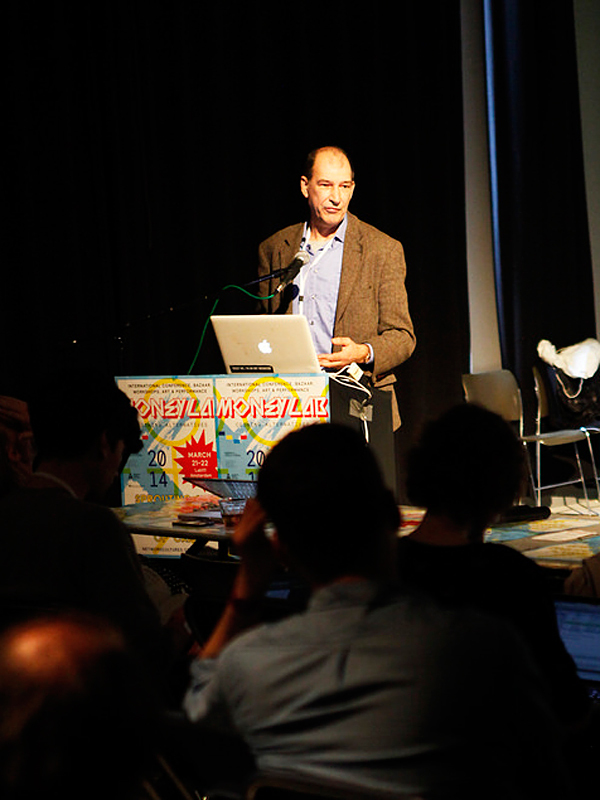 The Kunst Reserve Bank was one of a number of projects presented at MoneyLab a conference held last month in Amsterdam that launched the latest research thread from the Institute of Network Cultures. The conference was set up to consider “digital experiments with revenue models, payment systems and currencies… and critically explore, map and probe the politics, inner-workings and governance of these alternative digital-economic forms”. But not everyone was on (digital) message among those who took a defiantly tangible approach to the money question was Ron Peperkamp, artist and CEO of the Kunst Reserve Bank. Not many artists have been able to trump Warhol’s position of uber-capitalist and cynical realist of contemporary art but just maybe a contender for the role has surreptitiously appeared in the unlikely guise of the Kunst Reserve Bank. One of the real achievements of the project is that it is not immediately obvious whether it is a genuinely radical experiment, a brilliantly conceived Ponzi scheme or an interesting but conceptually flawed piece of conceptual art. Even if it is (as I the last of the three) it is still a remarkable achievement in part because unlike most artistic experiments the artists have created the possibility of failure (bankruptcy). It is precisely this that makes it important. It has the qualities of its defects. To begin with the bank actually exists as a physical entity with the three basic components required for some of the economic first principles of primitive accumulation or hoarding of value. They have a teller, a safe, and a mint. With this mint they create the coins. It is a fairly basic but well thought through and rigerous process. 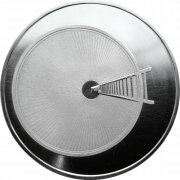 Every month an artist, some well known others less known, to design 4 coins. and every coin is issued for one week only in exactly one hundred copies. 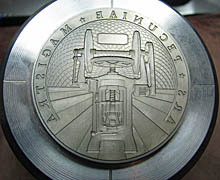 The Art Reserve bank thus creates coins which have an artistic value and are issued in a limited amount. As this is not legal tender (in other words its not really money) how does the purchaser trust the value of these coins ? Because and this is what gives the project traction, you can go back to the bank and you change at annual rate of 10% a year non-compound interest. One would have thought that this would make the incentive to return the coins is very high after all the 10% rate of interest outstrips and actual retail bank. But Peper and his associates reason the incentive to keep the coin is also very high because they may reason that as a piece of art its value may appreciate at an even faster rate. So far very few coins were returned. Though the coins are showing up on e-bay with an asking price of 150 euro. Because the coins are only made available for one week. 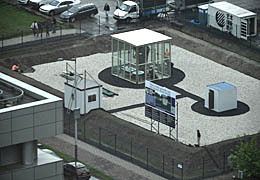 So when they observed this the decided to integrate it into the project so if you visit the site you will find their ‘dealing room’ where the coins are traded among the public. From this process they estimate the current market value of the coins. Every morning, like the Libor exchange rate, they cut of the top and bottom bids to arrive at an estimate of the actuall trade value of the currency. 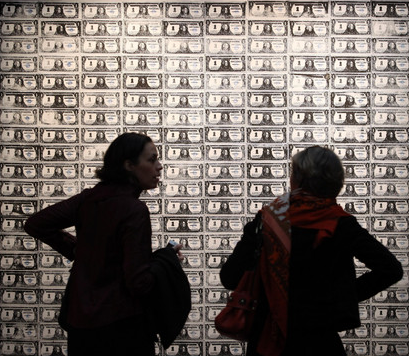 This means that as good little capitalists the exchange rate of the art currency is set by the market. So what security is there against a large number of holders of the currency arriving to demand their money back? The answer is that for every 100 euros that people pay for the coins 10 euros is put in the safe. That is their reserve capital and 90% of the income goes into maintaining project (the costs of minting the coins and other elements of the infrastructure are quite high, each mold costs approximately 1000 euros a piece to create). So it’s a gamble that the “intrinsic value” of the coins will outweigh the impulse to make a quick profit and convert the value of the coins back into “real money”. If there were to be an actual 2088 style Northern Rock run on the bank they would go bankrupt. Real banks have only a capital reserve of 3% which makes the Kunst Reserve Bank triple A rated and ensures, Peperkamp jokingly declared, “it conforms to the Basel norms to at least 2040 “. In many ways this is one of the most interesting aspects of the project as a mirror of the fractional banking system as it currently exists. A reminder that the bank doesn’t store our money in their safe waiting we are lending our money to the banks. The final dimension of cunning that accompanies the project that it is not open ended, it is finite. After 5 years the bank will be wound up and the project will be concluded. At that point there will be 25,000 coins in circulation which according to Peperkamp is the critical mass that is suggestive of some kind of as yet unimaginable transition, the suggestion is that at this point the currency could start to circulate rather than just be hoarded and becoming the “universal equivalent” and signifyer of value we call money. In some ways the questions that hang over Kunst Reserve Bank are also at work in the overall logic of the MoneyLab conference, the risks of looking at money as an isolated moment outside of the system of relationships that is the wider political economy. The “money form” is a single moment in the creation and circulation of value as it moves from the money form to the commodity form to the labor form. The systemic role of money is the very opposite of the ‘intrinsic’ value that this project seeks to inject into money. Money should flow, that is why it is sometimes called ‘liquidity, unlike labour power, land or commodities money is the least lumpy and most mobile expression of value. 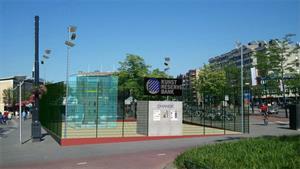 The Kunst Reserve Bank emphasises the opposite impulse; the desire to hoard value. Peperkamp inadevertently revealed a key weakness when he declared that in his presentation that the bank only selected “good artists for the coins”. Sadly this loyalty to a traditional forms of connoisseurship a mysterious process through which value is conferred transmuting base metal into artistic value, separates peperkamp from Warhol’s cynical realism in which economic or exchange value is the true source of arts’ potency. Unlike Peperkam, Warhol never spoke about quality. By seeking to maintain arts’ status as a ‘super commodity’ beyond use value whose mysterious value accumulates over time Peperkamp weakens the project as both experiment and as art. In his presentation Peperkamp went on to claim a special status for art as exhibiting features that make it unlike other commodities. He deploys easy argument that gadgets such as laptops or ipads, unlike art begin to lose their value at the moment of aquisition. The selection of gadgets in which swift obsolescence is a key part of the business model is misleading. We are surrounded by commodities whose exchange value may appreciate or depreciate over time, from cars to furniture. The long term value of the objects that surround us are no more or less predictable than any artwork. This is not to dismiss this project. Its flaws are generative rather than fatal and make it more valuable than many so called successes. More than most, Peperkamp and the others who are behind the Kunst Bank have taken considerable material risks and have done so without public subsidy. Within its own terms it is both a rigorous and ethical piece of work leading us to ask important questions about just how the world of finance became so detached from the everyday world. It has the potential to expose systemic and malign contradictions in a fresh and original way. But in the end the central contradiction is serious. By emphasising the ‘intrinsic artistic value’ of the artifacts Perkamp renders the project complicit with the status quo. And intensifies the commodity fetishism that lies at the heart of the dilemmas we all face. Its apparent sophistication is to a degree limited to surface appearance. The project most closely resembles a limited edition fine art prints, that take the deceptive appearance but not the actuality of money. In the end the coins are too locked into the desire to be seen as art to be able to function as the universal signifier of value which is money, and so these coins (whether valued and collected or not) are destined to remain just art. Love it – thanks for bringing this review to nettime. The trick KRB seem to be pulling off (whether Peperkamp knows it or not) is to subordinate the ostensible artistic value of the coins as artwork/commodities to the conceptual artistic value of the KRB enterprise. As you point out, the success of that enterprise is premised on (and in some ways subordinate to) its successful relationship with a broader art market. Warhol would have been into that. As I understand it these days, not-just-art was a way of thinking about art that is at least potentially a universal signifier of value because its social uses are maximally unconstrained by fixed properties (either ostensibly intrinsic objective ones or ostensibly extrinsic societal ones). Even more so than money, not-just-art (or generalised aesthetic value attribution) becomes a universal signifier because it doesn’t require the apparatus of currency and capital that the KRB project is emulating. What it does require is that it involves forms of social exchange and organisation that engage critically with the normative structures of culture: i.e. that pose reflective questions about how we – as individuals and groups – attribute value and make choices. In this sense it’s a Kantian thing: it tests the boundaries of our freedoms to perceive, judge and act at the boundaries of the subjective and the universal. So to me the project seems to do this job as long as the coins are circulating in the market while the KRB project circulates through the ongoing discourse you’re contributing to by publishing this article. Am I right that you’re pointing out the weakness of the currency component without the conceptual framing of the KRB project? That the intrinsic value, like a gold-backed-currency, depends on antiquated but persistent value attributions? If so, I’m not sure your critique is really fair. The artist-object / conceptual author-discourse dichotomy of the project and the somewhat exploitative/naive relationship between them implied in the way you quote Peperkamp’s capricious selection criteria – taken together – seem consistent enough with the trick they’re pulling off to make Warhol proud. What would this project do/be if it were going to do/be more than ‘just art’? Studio Paolo Vetlucci offre a tutti servizi per sviluppo siti. realizzazione sito il nostro Azienda prodotto gia circa 6 anni. e la quantita di tempo si acquisito significativo esperienza, che consente di te aiuta a ci vendere realmente grave IT. Noi creare esclusivamente moderno web site. provare iniziare collaborare con la nostra Azienda per sentire tutti i vantaggi e sentire la differenza! Aspettiamo voi tra i nostri clienti felici.